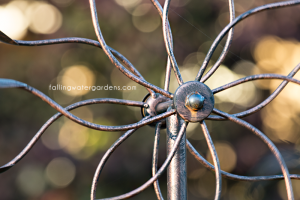 Although a well designed garden is a work of art in itself, in the last decade more artists and craftsmen have been creating pieces solely for placement in the landscape. 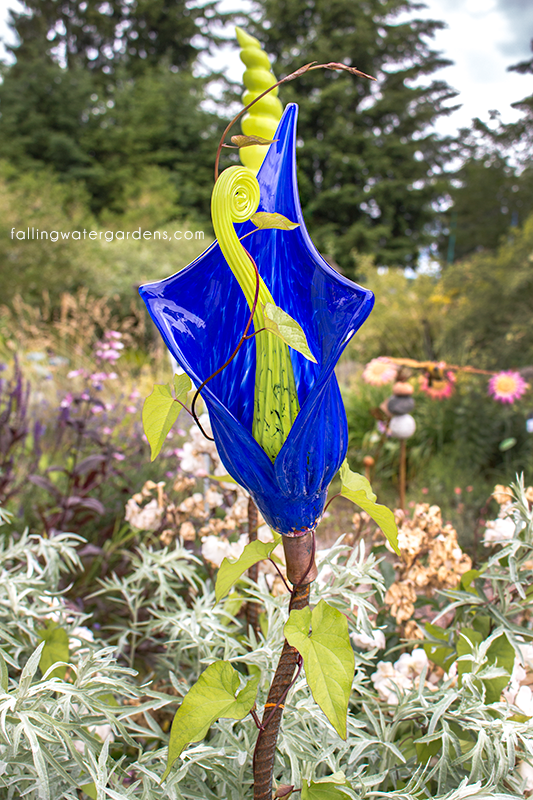 You don’t have to spend a lot of money on a fancy sculpture to incorporate art into your garden. 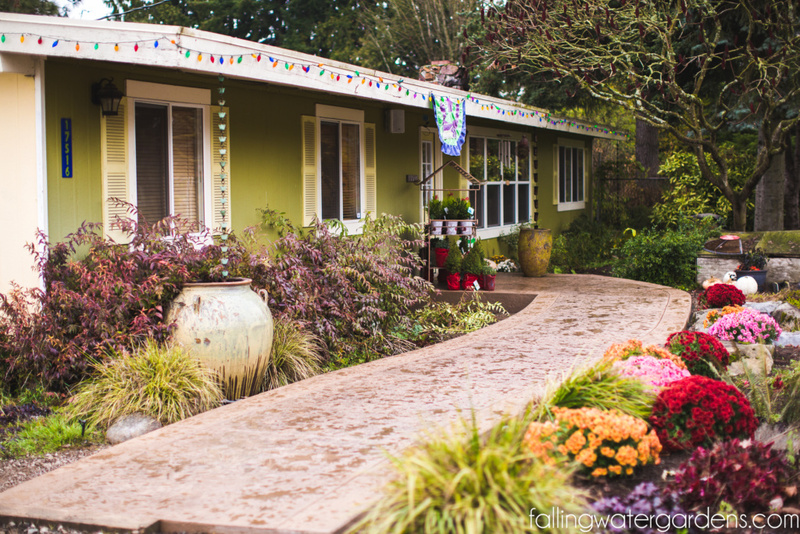 Gardeners have become more attuned to recognizing what a simple, well-placed structure or piece of art tucked into a “secret spot” can bring to their garden spaces. Challenge yourself to introduce elements in the garden that will stimulate as many senses as possible! An arch positioned over a walkway and covered with an aromatic vine will please your sense of smell and sight as well as provide an entry way that draws a visitor into your garden’s sensual sanctuary. Place a beautiful bird feeder within sight of your deck for endless entertainment. It is quite amazing the flurry of activity a little bird seed will cause in a backyard. Place a small sculpture or wind chime along a path. 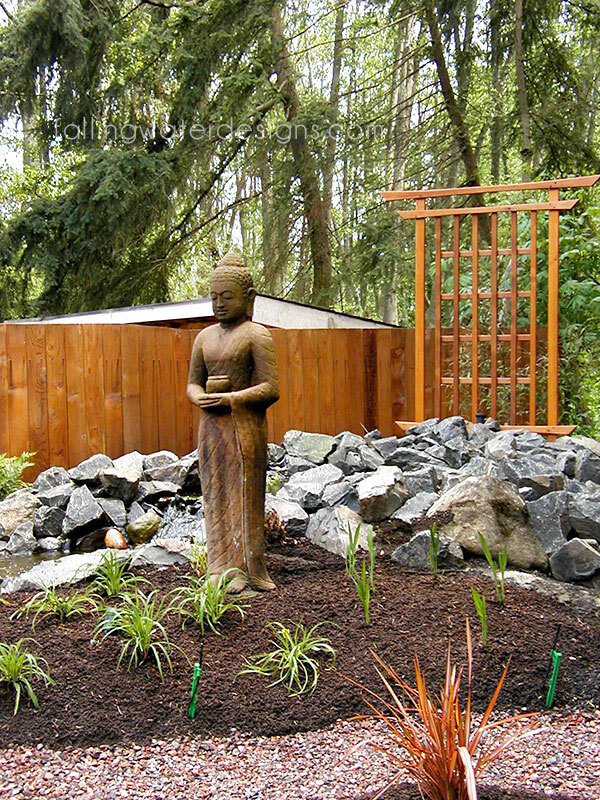 Add a large sculpture to be an accent or focal point that will draw eyes and beckon visitors to the garden. It’s not always necessary to go out and purchase something from a store to accessorize your space. People that do often end up with the same mass produced arbor or piece art as their neighbor. Using an old bathtub as a planter works well. I have a neighbor who has a planting bed growing out of a brass bed frame! Involve the kids by having them paint plywood animal cut-outs to hang on a fence or feature them in a secret location in the garden. Consider your primary and secondary focal points and consider what fits your particular style. Whatever you do, have fun! 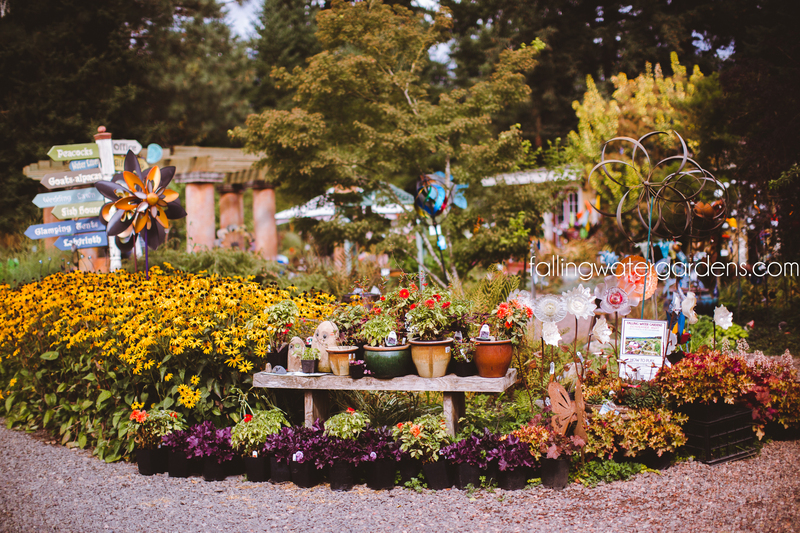 Visit Falling Water Gardens nursery and garden center in Monroe, WA to find inspiration for your outdoor landscape and gardens.